An on-the-run fraudster who conned victims out of £21,000 through online selling sites has been jailed after being tracked down in Spain. Norman Fowler, 39, went missing in 2014 after being sentenced at Norwich Crown Court to nine months in jail. Fowler, from Colchester, was located in Spain and brought back to the UK. He used eBay and Gumtree to advertise items, including high-value watches, camera equipment, phones and laptops, which he did not have. 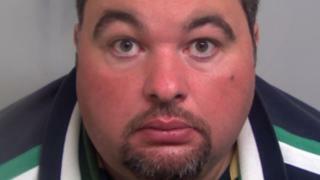 Fowler, who was jailed at Chelmsford Crown Court for 20 months, defrauded nine buyers through the sites. At his sentencing, Fowler also accepted nine further offences to be taken into consideration. Fowler had fled to Costa Brava and lived under a false name, after fleeing the UK in 2014. But the authorities caught up with him when he was arrested by Spanish police in relation to gun licensing matters, in 2016. On returning to the UK, Fowler began serving a nine month prison sentence for his previous conviction. His latest sentence will begin once his existing prison term is served. Essex Police said it was "delighted" it "could bring him to justice".